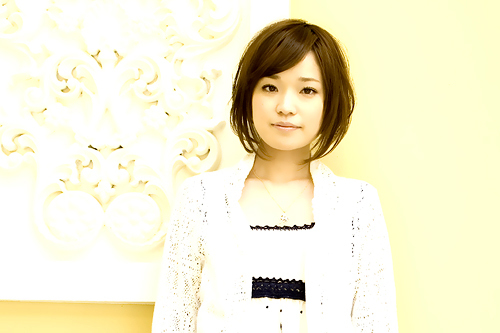 Ai Kawashima, born February 21, 1986 in Fukuoka, is a Japanese singer-songwriter. Former singer of the duo I WiSH (with pianist Nao), Ai Kawashima is now pursuing a solo career. Her music was used as an opening theme to the Japanese release of the video game, Shining Force Neo, titled “Zetsubou to Kibou”, from her sixth maxi single. Also, “Compass” was used as the theme in the 8th One Piece movie, an anime film. Ai had the dream of becoming a singer since she was little. The dream was made by her and her mother together. Her mother was her only family since she had lost her father when she was just a child. However, Ai’s mother died before she became a famous singer. Now she is singing not only for her mother, who has passed away, but also for people who listen to her song, wishing world peace. Before she became a famous singer, she established a goal—to perfrom 100 times on the street—and accomplished it after she became a great singer. Her voice is called “angel’s voice”. At first, there were only a few people listening to her song on the street, however, gradually she attracted a lot of people. Ultimately, her last street performance in Shibuya attracted a great number of people.